MassPoint Legal and Strategy Advisory is pleased to announce that Hdeel Abdelhady has been re-appointed to an additional one-year term as a Senior Adviser to the American Bar Association Middle East Committee, part of the ABA Section of International Law. A long-time member and leader of the ABA, Ms. Abdelhady will commence her 2018-2019 term in August 2018. Ms. Abdelhady, who was a Co-Chair of the Middle East Committee for three years until 2017, currently serves as a Senior Adviser to the Committee. In addition, Ms. Abdelhady is the ABA’s Liaison to the Dubai International Financial Centre Courts (DIFC Courts) and serves on the Board of the ABA Rule of Law Initiative (ROLI) Middle East and North Africa Council (ROLI MENA Council). 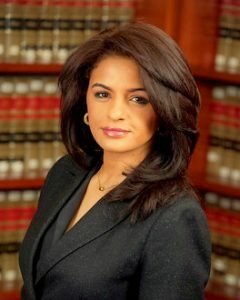 Previously, Ms. Abdelhady served as the ABA’s Liaison to the United Nations Commission on International Trade (UNCITRAL), as a Co-Chair of the ABA Islamic Finance Committee and as a Vice-Chair of the ABA Africa Committee. In addition, Ms. Abdelhady has worked with her ABA colleagues on a number of programs and initiatives, including the development and drafting of ABA Resolution 10C, calling on the President to withdraw an Executive Order restricting the entry into the United States of persons from seven Muslim-majority countries. Led by Judge Delissa Ridgway and Jennifer Ismat, Esq., the Middle East Committee’s geographic scope encompasses North Africa, the Gulf Cooperation Council (GCC), Afghanistan, Iran, Iraq, Israel, Jordan, Lebanon, Pakistan, Palestine, Sudan, Syria, Turkey, and Yemen. The Committee conducts regular substantive conference calls for members, maintains an active email list, and organizes panels for Section events. It has also helped organize and support various Rule of Law/judicial reform initiatives, including for Afghanistan, Iraq, Morocco, and Tunisia. Recent teleconferences have addressed the refugee crisis and responsibility to protect in Syria, political and security developments in Egypt and Libya, application of US employment law in the Middle East, and US and international sanctions, among other issues. Learn more about the Committee here. Next PostZTE: Was the Export Ban the Right Penalty?